Editor's Note: There are three photos associated with this press release. This week, thousands of BMO employees are volunteering in hundreds of local charities and organizations across Canada and the U.S. as part of BMO Volunteer Day. This is when, every year, BMO employees share their time, energy and ideas with organizations and individuals who need support. BMO provides nearly 5,000 opportunities for BMO employees to participate in charitable work and projects during business hours, including those that support disaster relief, homeless shelters, children and youth organizations, elder care, community housing and health care facilities, family resource centres, parks and recreational facilities, food banks, and the Red Cross. 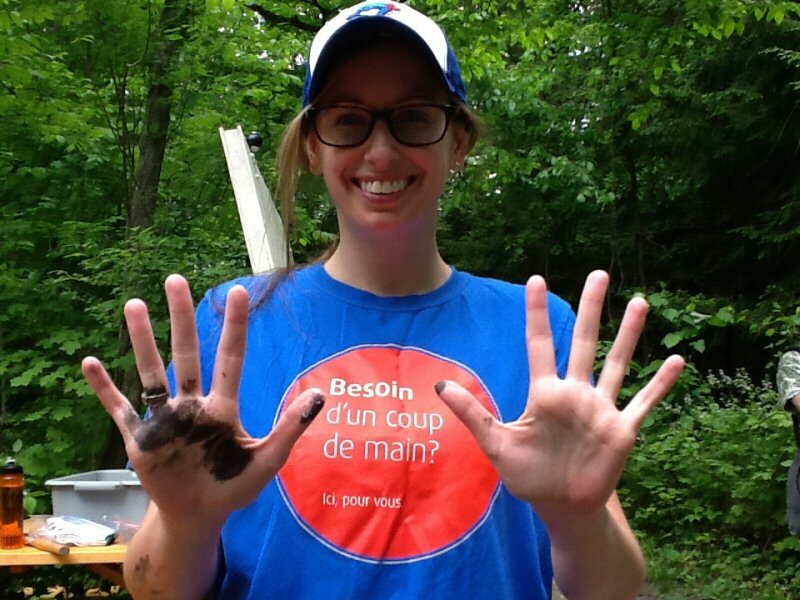 Launched in 2001, BMO Volunteer Day is one of the many ways BMO employees lend a hand and express their commitment to improving the social well-being of individuals in the communities where they live and work. "One day can make a tremendous difference in the lives of people in the communities we serve," said Joanna Rotenberg, Head, Personal Wealth Management, BMO Financial Group. "Volunteering is a deeply embedded part of our culture. It represents the very best of our company, and demonstrates how we genuinely care and are here to help." Ms. Rotenberg spent Volunteer Day with First Book Canada, joining fellow BMO employees as they read to Grade 1 and 2 students at an elementary school in the Greater Toronto Area. In Chicago, 40 BMO volunteers worked to refurbish Herzl School of Excellence in the North Lawndale neighborhood in activities ranging from indoor and outdoor painting to light construction and landscaping. In Milwaukee, BMO Harris employees focused on helping to feed the hungry through partnerships with Hunger Task Force and Feeding America. Employees sorted, labeled and packaged food for distribution to the needy. BMO staff in eight major cities across Canada volunteered at First Book events that saw them read to Grades 1 & 2 students. The so-called "reading parties" also featured presentations from local Canadian authors and illustrators. For those unable to leave their desks, BMO staff volunteered remotely via telephone to provide career counselling and advice to youth on subjects ranging from interviewing to networking to looking for a job. For more than 195 years, BMO Financial Group has believed in community reinvestment and corporate and social responsibility in the communities it serves. In 2015, BMO contributed more than $56.8 million in community donations to charitable, not-for-profit and community based institutions and organizations that help build and sustain resilient, vital and healthy communities. BMO Harris Bank employees helped landscape outdoor spaces at Chicago's North Lawndale Herzl School of Excellence along with City Year Chicago Americorps members as part of BMO Volunteer Day. Lending a hand at the YMCA Cedar Glen Outdoor Centre in Schomberg, Ontario. This week, thousands of BMO employees are volunteering in hundreds of local charities and organizations across Canada and the U.S. as part of BMO Volunteer Day. 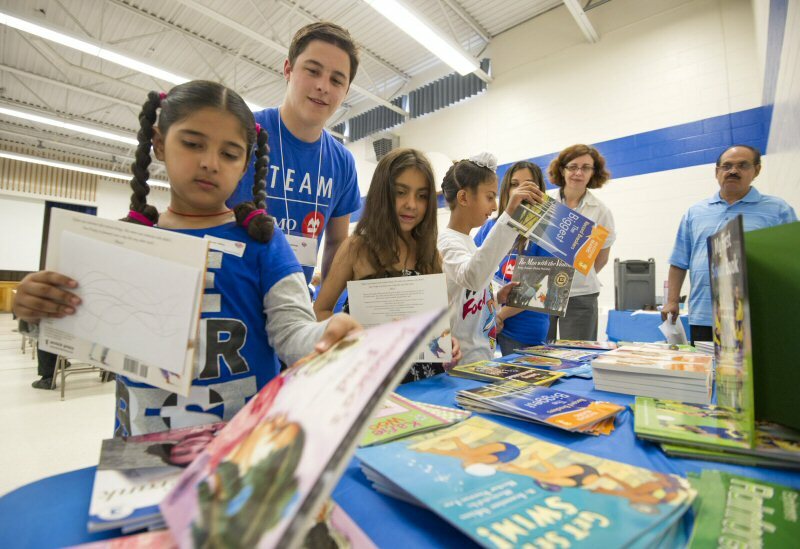 BMO employees read to elementary students with First Book Canada at Corliss Public School in Mississauga on Tuesday, June 7th.